We will be adding more archival audio clips soon. Nelson Mandela arrives in Johannesburg. Like thousands of blacks, he left his rural village in search of a better life. You wanted a wage, the best way was to go to the gold mines. I remember when I arrived in Johannesburg in the early 40's.... the fear, you know, of the power of the white man inhibited us a great deal. Mandela begins working in Johannesburg as a law clerk at the firm Witkin, Sidelsky & Eidelman. It was highly unusual for a black man to have such a position. - Nat Bregman, colleague at the firm, and according to Mandela, his first white friend. Mandela befriends Walter Sisulu, who becomes his lifetime advisor and confidant. Mandela was the figure in the forefront but my father was always in the background. The two were always deep in conversation. Nelson Mandela joins the African National Congress (ANC). Nelson Mandela, Walter Sisulu, Oliver Tambo, and others form the ANC Youth League. These young radicals-the class of '44 as we called them-demanded action. Not just petitions. The National Party under D. F. Malan wins the parliamentary elections by a narrow margin. There was a great deal of apartheid practiced even before the National Party came to power, just on a lower level. But when they came into power we knew the government was going to tighten screws on the blacks. I said to my husband, "Let's leave. We'll never get them out." The National Party, now in power, implements new laws supporting racial discrimination and oppression. One law after another came in: The Group Areas Act; The Immorality Act, so that you couldn't have sexual relations across the color line; Race Classification, which laid down for all time your color and your category--white, or colored. All these things came in one after the other. In response to the new apartheid policies, the ANC Youth League drafts a 'Program of Action' calling for mass strikes, boycotts, protests and passive resistance. The time had come for the emergence of a mass organization, a development the leadership did not welcome. We believed this was the program which would transform the ANC from an organization which tended to concentrate on deputations and memoranda to an organization which would be based on mass support. Mandela, in partnership with Oliver Tambo, opens a law firm in Johannesburg, which defends blacks prosecuted under the strict new laws of apartheid. He was an imposing practitioner. Most black attorneys at the time gave the impression they were there under sufferance. Nelson Mandela made it clear that he was there as a right, and he was going to exercise it to the hilt. His clients were very proud. "Our man is fixing the man who is oppressing us!" The ANC and South African Indian Congress organize the 'The Defiance Campaign against Unjust Laws'. Mandela is the volunteer-in-chief, and more than 8,500 volunteers or 'defiers' are imprisoned for refusing to obey apartheid laws. The ANC creates the Congress of the People, which draws up a set of principles for a new South Africa known as the Freedom Charter. People from around the country submit suggestions for this document, which will guide the movement for the next four decades. H.F. Verwoerd becomes Prime Minister. His proposals to separate Blacks into independent states, or Bantustans, give him the title 'the chief architect of apartheid'. Under his plans, whites will keep 86% of the land, including the gold and diamond mines, and blacks will be forced into pockets of undeveloped rural areas. Our policy is one which is called by an Afrikaans word, apartheid. It could much better be described as a policy of good neighborliness. Divorced from his first wife, Evelyn, Nelson Mandela marries Nomzamo Winnie Madikizela. At the time that they got married we were facing treason charges. Immediately after the trial he went underground, so they hardly had a proper married life. Effectively, they were married for just three years. In a mass demonstration, thousands of people walk into police stations throughout the country demanding to be arrested for not carrying their pass books. In Sharpeville, police open fire on the demonstrators, killing 60 people and wounding hundreds more. The government declares a State of Emergency in response to the growing unrest throughout the country. The repercussions echoed throughout the world and South Africa was condemned for this. The ANC forms Umkhonto we Sizwe (The Spear of the Nation or "MK") to initiate an armed struggle. MK's policy is to target symbols of apartheid, not people. It's first sabotage attacks occur on December 16 in Durban. Our manifesto, signed by our commander-in-chief Nelson Mandela, on December 16, 1961, read, "We are undertaking this armed struggle to show that black South Africans will not any longer live on their knees. There comes a time in the life of any people when there are but two choices: to submit or to stand and fight. The decision is to stand and fight. But at any time that the apartheid government wishes to negotiate a peaceful settlement, we would be prepared to negotiate." Mandela and his colleagues move underground, raising funds, organizing and sending leaders to China to be trained in guerilla fighting. Mandela travels throughout Africa gathering support for the ANC. Suddenly in 1961 we want to start the armed struggle again. With what? You are talking about a movement that was above ground for 40 years and every leader known. Coming back from a meeting in Durban, Mandela is arrested and taken to jail. He is sentenced to five years for leaving the country illegally. Police raid Lilliesleaf farm in Rivonia outside Johannesburg and find documents revealing MK's plans for sabotage and an armed struggle. They arrest the core of the MK leadership. Mandela, who is already in prison, is also brought to trial. In the Rivonia Trial, eight ANC Youth League members are tried for sabotage and violent attempts to overthrow the government. Mandela's closing speech, in which he says he is fighting for a cause "for which I am prepared to die", catapults him into world attention. They are sentenced to life in prison. When he made that speech there was dead silence in the courtroom. Nobody said anything. The judge didn't know what to say. I knew it was a moment in history. - Dennis Goldberg, co-defendent in the Rivonia Trial. Mandela and his colleagues are sent to Robben Island. Leaders from various political organizations are kept together in 'B Section,' allowing them to continue their political debates inside prison. We believed strongly that we would not die in jail. That we would return. Winnie is arrested with twenty-one others and detained for five months. She is interrogated and tortured. As the spokesperson for Mandela, and for the ANC, which has been banned, Winnie is harassed by the government throughout Mandela's years of incarceration. The government passes the Bantu Homelands Citizenship Act, which makes every black a citizen of a homeland, or a rural tribal area, rather than a citizen of South Africa. The country was built on white capital and black labor. The two were interlocked. It couldn't function without both. The black population went on growing exponentially. They couldn't be crammed into these small rural homelands, which were not economically sustainable. Soweto students hold a rally to protest mandatory instruction in Afrikaans, the language of the white rulers. Police open fire on the students killing 23 and injuring hundreds more. Protest spreads throughout the country. 575 people are killed over the next eight months, a quarter of them are under age 18. I've never seen that many police. I mean, this is a group of kids with shining black shoes, white socks and little tunics singing freedom songs, holding one another. We actually looked cute! It's unbelievable to think that anyone could have stood firm on their feet and actually shot into that crowd. Winnie Mandela is banished to Brandfort, a small, conservative Afrikaner town. She immediately became a leader of the community. She interacted, learned to speak Sotho, their mother tongue, and started projects. She got somebody to donate a caravan and yours truly to donate medicines. I would go regularly to Winnie's little clinic. But she was very lonely and isolated. No telephone." Steve Biko, founder of the Black Consiousness Movement, dies after being beat up by the police in detention. The answer is power of the black people. We worked in their factories, built their roads. If we stopped doing all those things they would understand how powerful black people are. The United Nations Security Council imposes an arms embargo on South Africa. There were over six hundred anti-apartheid committees all over the world. They were aiming to get us out of the UN as fast as possible in order to assist in the total isolation of South Africa, cracking us economically. P.W. Botha succeeds B.J. Vorster as Prime Minister. Botha was just an ignorant bully, but it is extraordinary that the most important changes took place during his regime: urbanization, the 99-year lease hold, the abolition of the pass laws, and job restrictions disappeared. There simply were not enough whites to do the jobs so they had to change policy. All those things happened during this crazy man's regime. President P.W. Botha makes a conditional offer of release to Mandela. Mandela's youngest daughter, Zindzi, reads her father's reply to Botha's offer at a rally in Soweto. This is the first time in two decades that Mandela's words are heard by the public. The release would have meant he had to denounce the ANC, the MK, and all types of political activity. He would have to go live in a homeland. His message was, "Until my people are free, I can never be free." It was an honor to deliver his message. Due to violence instigated by the security police and fueled by rival factions of ANC and Inkhata Freedom Party supporters, many townships become ungovernable. The government declares a State of Emergency. In solidarity with international protest, Chase Manhattan Bank of New York recalls its loan to the South African government. This $500 million debt is to be paid immediately. Other banks begin to follow suit and the Rand starts to fall. Mandela begins secret talks with the government. In an unusual move, he makes this decision without consulting other leaders of the ANC organization. The five of us were in a communal cell. He was taken to a different cell, isolated from us. A warder came to me and said, 'Last night we took Mandela to the house of the Minister of Justice.' That was enough to tell us Mandela had started talking to these chaps. In preparation for his release, the government decides Mandela should go on outings with his warders. Because he was isolated we were told to get him outside so he could think as a free man. But I think he was afraid of the outside world. You could see he was not comfortable. He was so afraid to walk over the streets. Mandela is moved to Victor Verster prison, where he is given a large warder's house to live in. They put him into Verster to adjust. What Mandela very cleverly did was to call on all leaders of the ANC, of civil society, of academia, of people like myself to go visit him. You would visit him at Victor Verster on a one-to-one basis. He would entertain you to sumptuous dinners. We would love going there! P.W. Botha resigns and is succeeded by F.W. De Klerk at the end of September. At the opening of parliament F.W. De Klerk announces the unbanning of all political parties and the release of Nelson Mandela. After 27 years of imprisonment, Mandela is released. Frankly, when I saw that crowd, I must confess that I didn't have the courage, the confidence to speak to them. It rather took me by surprise. I think it took us an hour just to go through the crowd to get to the platform. The ANC and the National Party begin negotiations to form a new multi-racial democracy for South Africa. These talks will be off and on for months, with delays due to the ANC's anger over the violence in the black townships. Mandela and de Klerk continue to hold private meetings throughout the process. It didn't come easily. We had breakdowns, setbacks, walkouts, massacres, a tank crashed into us...All these things happened. People forget all that. It is a tribute to how far we have advanced, that the tremendous trauma and the complications of the time are now relegated to a past that's almost ignored. Winnie goes on trial for the kidnapping and assault of four youths by the Mandela United Football Club, a group of young men who act as her bodyguards. She is found guilty of kidnapping. In her appeal, she is given a suspended sentenced and fined. She didn't deserve the serious charges put against her. Her worst thing was that she showed complete lack of judgment by having this football team around. Even if I did have reservations, I could not refuse to defend her at the request of Nelson Mandela. The first formal negotiations with the government take place at the Convention for a Democratic South Africa (CODESA 1). Mandela announces his separation from Winnie. It's a typical apartheid story. They were never given an opportunity to be themselves within a relationship. They had a larger role to play. At the same time, they were being battered emotionally by the system. It would have been hard for their marriage to survive. 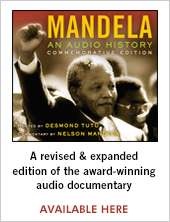 Mounting violence, instigated by government agents working within townships, causes Mandela to break off negotiations. The increasing death toll forces Mandela and De Klerk to restart negotiations after a few months. They sign the 'Record of Understanding', which promises to establish formal investigations into the violence and police actions. It also establishes an elected constitutional assembly that will develop a new constitution for the country. It is a tribute to how far we have advanced, that the trauma and complications of the time are now relegated to a past that's almost ignored. Chris Hani, a popular young ANC leader, is killed by a white extremist. There was an eruption of anger in the country. Mandela went onto TV that night and called for calm. He said, 'We know how to respond.' Mandela was the only person capable of avoiding a bloodbath. For the first time in the country's history people of all races vote in democratic elections. Mandela is elected South Africa's first black president. Mandela's presidential inauguration is the largest gathering of international leaders ever held in South Africa. There was a sea of faces. The weather was just right. We had waited for nearly three centuries for this day. It was fantastic. I said to the crowds, "I introduce to you our brand new President for which all of us have struggled." And I held up his arms. It was like a boxer who had just won a match. We held hands together, outstretched like that. It was a moment of victory for all of us South Africans. For the whole world. In an effort to appease white fears throughout the country, Nelson Mandela makes several public gestures of reconciliation. One of them includes inviting all of the wives of former Presidents for tea. With the exception of Mrs. Verwoerd, who is ill, they all attend. He became the master of the symbolic gesture. He knew who to visit, what gestures and statements to make that would ease the fears. To make all these stunning gestures and emerge as the great reconcilor—That is what saved the country. South Africa wins the World Cup for Rugby. Mandela makes an appearance on the field wearing a Springbok jersey. Rugby is the National Party sport. The symbolic impact of Mandela walking out with a capta d's jersey on, that moment cannot be described. Here a guy comes, released from prison after 27 years, with a Springbok jersey on. Everybody went bananas. I think it bought us at least a year of peace. Nelson Mandela marries Graça Machel on his eightieth birthday. South Africa celebrates ten years of democracy. About the third year of our acquaintance, he turned to me and said, "One day I am going to be Prime Minister of this country." I was going to be his Minister of Justice. He must have been about twenty-eight. He had a good sense of humor. When he said that, it sounded good to me, that one day we'd have a black Prime Minister. It was an impossible situation. I couldn't even imagine it could happen.